Ares was found in the wild with a broken wing from an unkown casue. Raptor Recovery Nebraska placed metal pins in his wing to allow it to heal properly. Unforunately his bones healed crookedly and he is unable to extend his wing. 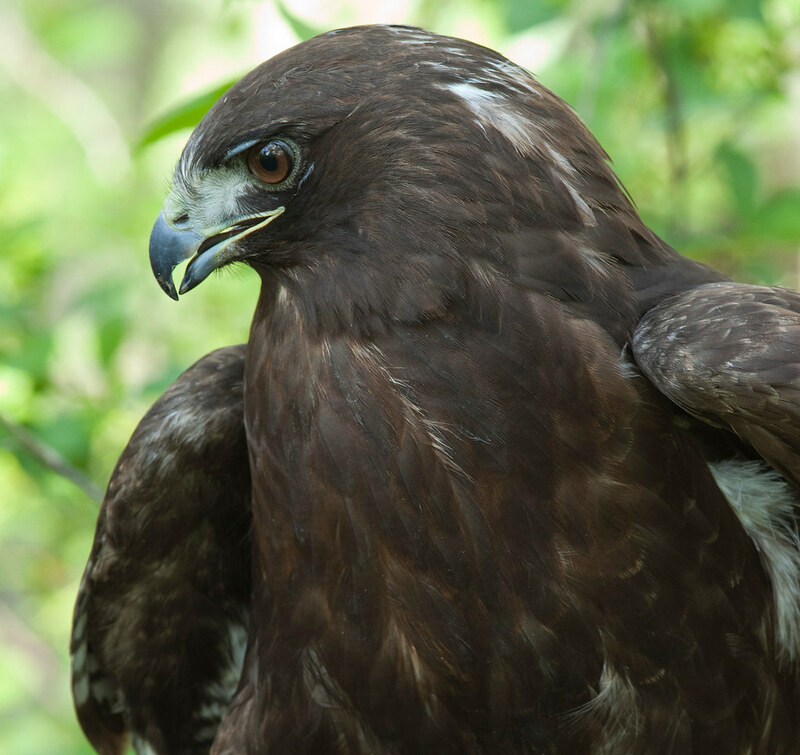 Ares is called a dark-morph or melanistic hawk. He has extra melanin (pigmentation) which makes him a darker color rather than the typical coloration of tan with a white belly.